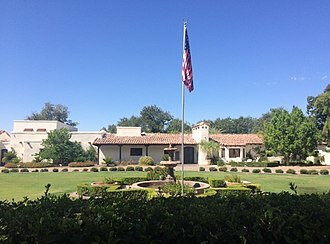 The Lyndon Baines Johnson Library and Museum, also known as the LBJ Presidential Library, is the presidential library and museum of Lyndon Baines Johnson, the 36th President of the United States (1963–1969). It is located on the grounds of the University of Texas at Austin, and is one of 13 Presidential Libraries administered by the National Archives and Records Administration. The LBJ Library houses 45 million pages of historical documents, including the papers of President Johnson and those of his close associates and others. The Library was dedicated on May 22, 1971, with Johnson and then-President Richard Nixon in attendance. The view of the Texas State Capitol from the library's terrace became one of the Capitol View Corridors protected under state and local law from obstruction by tall buildings in 1983. The complex, designed by Skidmore, Owings & Merrill architects Gordon Bunshaft and R Max Brooks, is an unadorned 10-story travertine monolith. 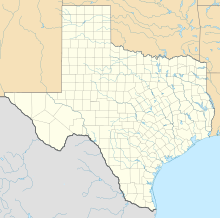 President Johnson is buried at his ranch, near Johnson City, Texas, at the Lyndon B. Johnson National Historical Park. 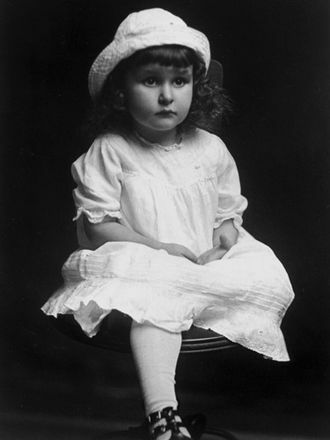 After her death in July 2007, the body of Lady Bird Johnson lay in repose in the Library and Museum, just as her husband's had after his death, 34 years earlier in January 1973. In 2012, the LBJ Library underwent a multimillion-dollar redesign, during which most of the exhibits were closed. 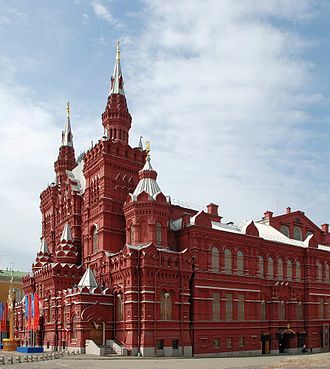 On December 22, the Library reopened to the public. 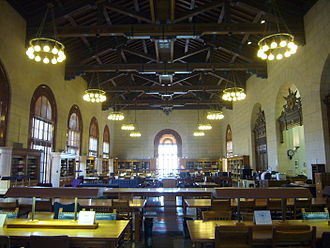 In 2013, the Library began charging admission for the first time since its dedication in 1971. The library's director, Presidential historian Mark K. Updegrove, resigned his position in February 2017. Historian Kyle Longley was named director of the library in June 2018, and assumed duties later that July. The Library, adjacent to the Lyndon B. Johnson School of Public Affairs, occupies a 14-acre (57,000 m²) campus. Although the Library is on the grounds of UT Austin, it is federally run and independent from the University. The top floor of the Library has a 7/8ths scale replica of the Oval Office decorated as it was during Johnson's presidency. Another exhibit features an animatronic LBJ. 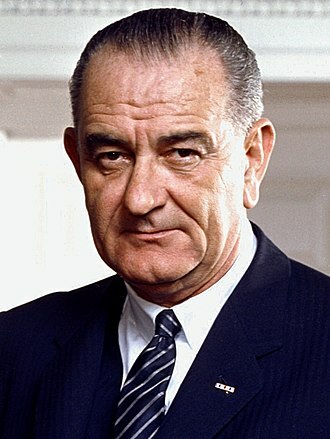 The LBJ Library provides year-round public viewing of its permanent historical, cultural, and temporary exhibits to approximately 125,000 visitors each year. It is open from 9 a.m. until 5 p.m. seven days a week throughout the year. The Library is closed on Thanksgiving, Christmas, and New Year's Day. Among the artworks on display at the Library and Museum is a photoengraved mural depicting scenes from Johnson's life created by Naomi Savage. The library honors public servants with the "LBJ Liberty & Justice for All Award." The award is given to leaders who demonstrate civility and bipartisanship. 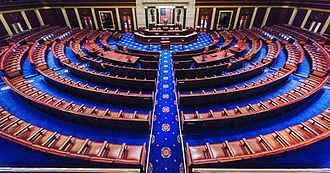 Recipients have included President George H. W. Bush, Congressman John Lewis, Congressman John Dingell, Senator Carl Levin,, and Senator John McCain. ^ "Facts about the Lyndon B. Johnson Library and Museum". Archived from the original on February 1, 2014. Retrieved December 1, 2013. ^ "Downtown Development and Capitol View Corridors" (PDF). Downtown Austin Commission. June 27, 2007. Retrieved November 10, 2017. ^ Moritz, John. "Lady Bird Johnson Lies In Repose". The Spokesman. Retrieved July 8, 2013. ^ Wheeler, Anne. "LBJ Library Opens New Exhibits After Multi Million Dollar Renovation". ^ Library, LBJ Presidential. "Mark K. Updegrove to Step Down as LBJ Presidential Library Director – LBJ Presidential Library". 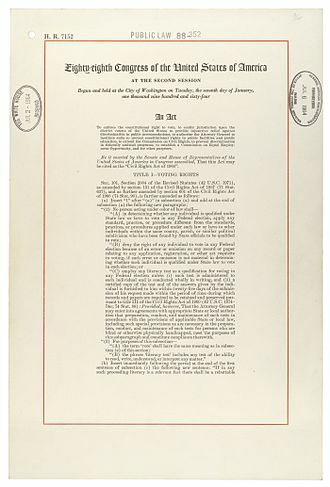 www.lbjlibrary.org. Retrieved March 21, 2017. ^ "Historian Kyle Longley named Director, LBJ Presidential Library". 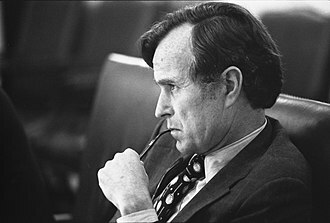 www.lbjlibrary.org. Retrieved October 9, 2018. ^ "Library & Museum". LBJ Presidential Library. Austin, Texas: U.S. National Archives and Records Administration. Retrieved November 19, 2014. ^ "Plan Your Visit". LBJ Presidential Library. Retrieved July 2, 2013. 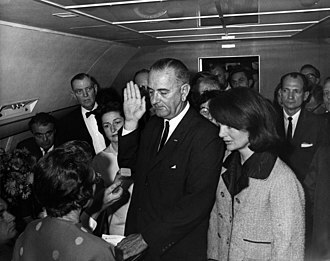 ^ LBJ Presidential Library (November 22, 1963). "Photo-engraving mural wall by Naomi Savage at the LBJ Library – LBJ Presidential Library". 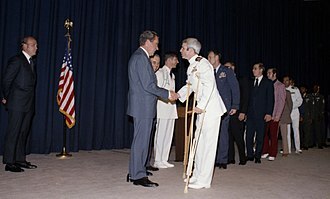 Lbjlibrary.org. Retrieved March 5, 2017. 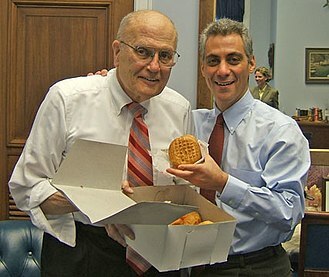 ^ "LBJ Foundation Honors Rep. John Dingell and Sen. Carl Levin with LBJ Liberty & Justice for All Award" (Press release). Austin, Texas: LBJ Presidential Library. November 18, 2014. Retrieved November 19, 2014. ^ "2018 LBJ Liberty & Justice For All Award". LBJ Library. Retrieved 24 January 2019. Benjamin Hufbauer, Presidential Temples: How Memorials and Libraries Shape Public Memory (University Press of Kansas, 2005). See ch.3: "Symbolic Power, Democratic Access, and the Imperial Presidency: The Johnson Library." 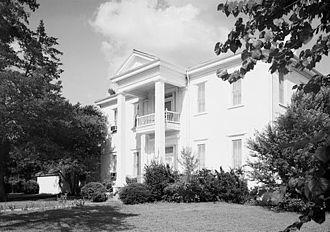 Wikimedia Commons has media related to Lyndon Baines Johnson Library and Museum. The Oval Office is the official office of the President of the United States. It is located in the West Wing of the White House Complex, the room features three large south-facing windows behind the presidents desk, and a fireplace at the north end. Presidents generally decorate the office to suit their taste, choosing new furniture, new drapery. 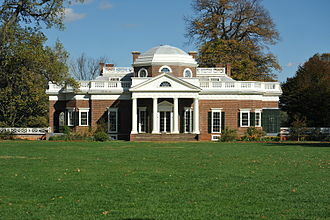 Artwork is selected from the White Houses own collection, or borrowed from museums for the term in office. 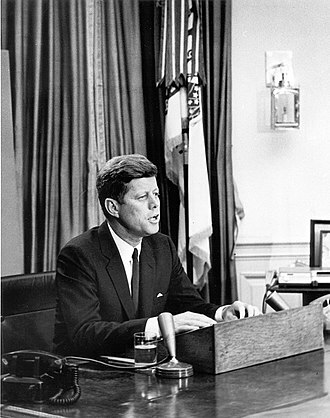 The Oval Office has become associated in Americans minds with the presidency itself through memorable images, such as a young John F. Kennedy, several presidents have addressed the nation from the Oval Office on occasion. 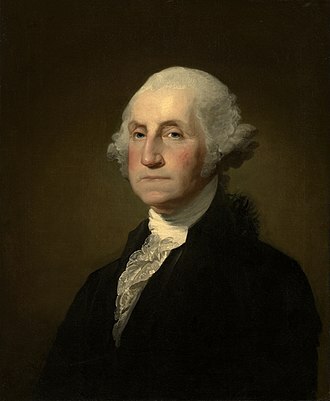 George Washington never occupied the White House and he spent most of his presidency in Philadelphia, which served as the temporary national capital for 10 years, 1790–1800, while Washington, D. C. was under construction. 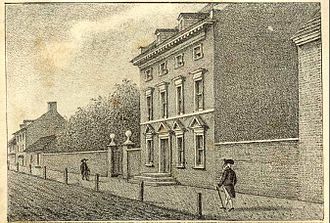 In 1790, Washington built a large, two-story, semi-circular addition to the rear of the Presidents House in Philadelphia, Washington received his guests, standing between the windows in his back drawing-room. 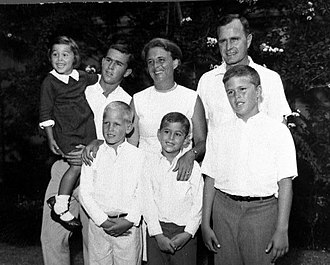 The company, entering a front room and passing through a door, made their salutations to the President. The apsidal end of a room was a site of honor, for a host. President John Adams occupied the Philadelphia mansion beginning in 1797, curved foundations of Washingtons Bow Window were uncovered during a 2007 archaeological excavation of the Presidents House site. 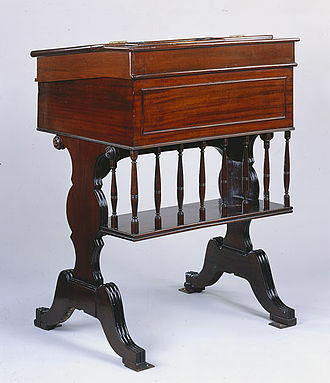 Architect James Hoban visited President Washington in Philadelphia in June 1792, the following month, he was named winner of the design competition for The White House. The elliptic salon at the center of the White House was the feature of Hobans original plan. An oval interior space was a Baroque concept that was adapted by Neoclassicism, Oval rooms became popular in eighteenth century neoclassical architecture. In November 1800, John Adams became the first President to occupy the White House, during the 19th century, a number of presidents used the White Houses second-floor Yellow Oval Room as a private office or library. The one-story Executive Office Building was intended to be a temporary structure, Building it to the west of the White House allowed the removal of a vast, dilapidated set of pre-Civil War greenhouses that had been constructed by President James Buchanan. Gordon Bunshaft, FAIA, was an American architect, a leading proponent of modern design in the mid-twentieth century. A partner in the architectural firm Skidmore, Owings & Merrill, Bunshaft joined in 1937, Bunshaft was born in Buffalo, New York, to Russian Jewish immigrant parents, and attended Lafayette High School. He received both his undergraduate and his masters degrees from the Massachusetts Institute of Technology, studied in Europe on a Rotch Traveling Scholarship from 1935 to 1937, after his traveling scholarship, Bunshaft worked briefly for Edward Durell Stone and industrial designer Raymond Loewy before joining SOM. Bunshafts early influences included Mies van der Rohe and Le Corbusier, in the 1950s, Bunshaft was hired by the State Departments Office of Foreign Building Operations as a collaborator on the design for several U. S. consulates in Germany. Bunshafts only single-family residence was the 2300 square foot Travertine House, on his death he left the house to MoMA, which sold it to Martha Stewart in 1995. Her extensive remodelling stalled amid an acrimonious planning dispute with a neighbour, in 2005, she sold the house to textile magnate Donald Maharam, who described the house as decrepit and largely beyond repair and demolished it. Bunshaft was elected to the National Institute of Arts and Letters and was the recipient of other honors. He received the Brunner Prize of the American Academy and Institute of Arts and Letters in 1955 and he recevied the American Institute of Architects Twenty-five Year Award for Lever House, in 1980, and the Pritzker Architecture Prize, in 1988. In 1958, he was elected into the National Academy of Design as an Associate member, from 1963 to 1972, he was a member of the Commission of Fine Arts in Washington. It is the capstone of my life in architecture, Bunshaft was a trustee of the Museum of Modern Art. He received the Medal of Honor of the New York Chapter of the American Institute of Architects, bunshafts personal papers are held by the Department of Drawings & Archives in the Avery Architectural and Fine Arts Library at Columbia University, his architectural drawings remain with SOM. 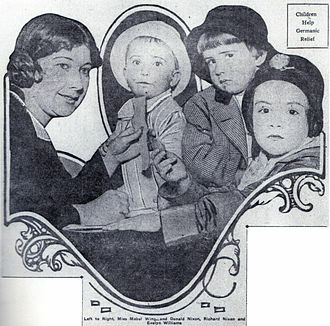 R.
Animatronics refers to the use of robotic devices to emulate a human or an animal, or bring lifelike characteristics to an otherwise inanimate object. A robot designed to be an imitation of a human is more specifically labeled as an android. Modern animatronics have found applications in movie special effects and theme parks and have, since their inception. Animatronics is a field which integrates anatomy, mechatronics. Animatronic figures are often powered by pneumatics, and/or by electrical means, motion actuators are often used to imitate muscle movements and create realistic motions in limbs. Animatronics is portmanteau of animate and electronics The term audio-animatronics was coined by Walt Disney in 1961 when he started developing animatronics for entertainment, Audio-Animatronics does not differentiate between animatronics and androids. 1515, Leonardo da Vinci designed and built the Automata Lion,1738, The construction of automata begins in Grenoble, France by Jacques de Vaucanson. 1770, Pierre Jaquet-Droz and his son Henri-Louis Jaquet-Droz, both Swiss watchmakers, start making automata for European royalty, once completed, they had created three dolls. One doll was able to write, the other play music,1801, Joseph Jacquard builds a loom that is controlled autonomously with punched cards. The animatronic galloping horse was on display at the 1939 Worlds Fair,1939 New York Worlds Fair 1961, Heinrich Ernst develops the MH-1, a computer-operated mechanical hand. 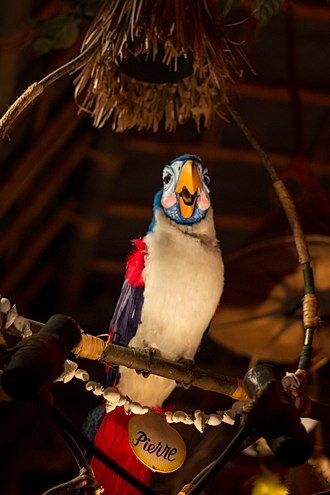 1961, Walt Disney coins the term audio-animatronics and begins developing modern animatronic technology,1963, The first animatronics, called Audio-Animatronics, created by Disney were the Enchanted Tiki Birds. Disneyland 1964, In the film Mary Poppins, animatronic birds are the first animatronics to be featured in a motion picture,1965, The first animatronics figure of a person is created by Disney and is Abraham Lincoln. 1968, The first animatronic character at a restaurant is created, goes by the name Golden Mario and was built by Team Built in 1968. 1977, Chuck E. Cheeses opens its doors, as the first restaurant with animatronics as an attraction,1980, ShowBiz Pizza Place opens with the Rock-afire Explosion 1982, Ben Franklin is the first animatronic figure to walk up a set of stairs. The Texas State Capitol, completed in 1888 in Downtown Austin, contains the offices and chambers of the Texas Legislature and the Office of the Governor. Designed in 1881 by architect Elijah E. Myers, it was constructed from 1882 to 1888 under the direction of civil engineer Reuben Lindsay Walker, a $75 million underground extension was completed in 1993. The building was added to the National Register of Historic Places in 1970, the Texas State Capitol is 302.64 feet tall, making it the sixth tallest state capitol and one of several taller than the United States Capitol in Washington, D. C. The current Texas State Capitol is the building to serve that purpose. The value of the land, combined with expenses, added to a total cost of $3.7 million for the original building and it was constructed largely by convicts or migrant workers, as many as a thousand at a time. The building has been renovated several times, with air conditioning installed in 1955. 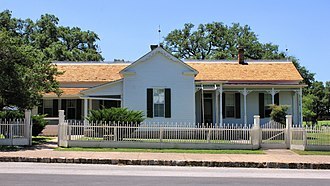 The cornerstone for the building was laid on March 2,1885, Texas Independence Day, the designers originally planned for the building to be clad entirely with hill country limestone quarried in Oatmanville, about 10 miles to the southwest. 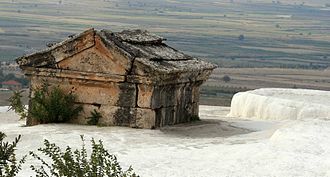 However, the iron content of the limestone led it to rapidly discolor with rust stains when exposed to the elements. Learning of the problem, the owners of Granite Mountain near Marble Falls offered to donate to the state, free of charge, while the building is mostly built of the Oak Hill limestone, most of this is hidden behind the walls and on the foundations. 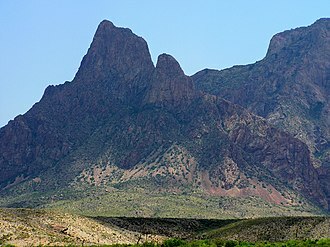 Red granite was used for many state government buildings in the Austin area. On February 6,1983 a fire began in the apartment of William P. Hobby, a guest of Hobbys was killed, and four firemen and a policeman were injured by the subsequent blaze. 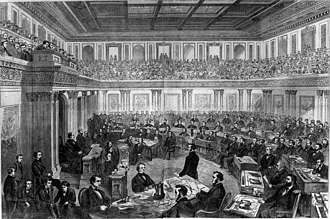 The capitol was crowded with accumulated archives, and the fire was intense and it caused severe damage to the east wing and compromised much of the framing, which was largely composed of exposed cast iron posts and beams. 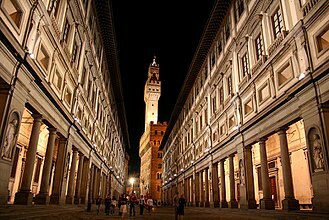 Restoration continued until 1993, and the took advantage of the extensive rebuilding to update the mechanical and structural systems to modern standards. Additionally, the sought to address the intensifying shortage of space in the old building, deciding that a new office wing should be added. Carl Milton Levin is a former United States Senator from Michigan, having served from 1979 to 2015. He was the Chairman of the Senate Committee on Armed Services and is a member of the Democratic Party, born in Detroit, Levin is a graduate of Swarthmore College and Harvard Law School. He worked as the General Counsel of the Michigan Civil Rights Commission from 1964 to 1967, Levin was elected to the Detroit City Council in 1968, serving from 1969 to 1977, and was president of the City Council from 1973 to 1977. 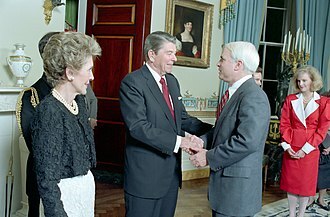 In 1978, Levin ran for the United States Senate, defeating incumbent Republican Senator Robert P. Griffin, Levin was re-elected in 1984,1990,1996,2002 and 2008. 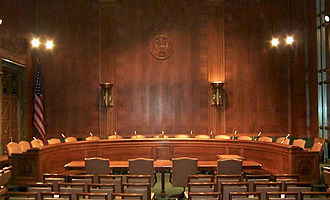 On March 7,2013, Levin announced that he would not seek a seventh term to the Senate, Levin became Michigans senior senator in 1995. 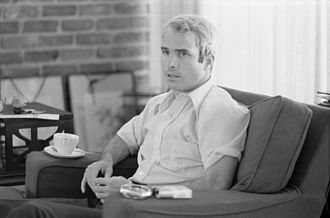 He is the senator in the states history, and was ultimately the fourth longest-serving incumbent in the U. S. Senate. Levin was born in Detroit, and is the son of Jewish parents, Saul served on the Michigan Corrections Commission. 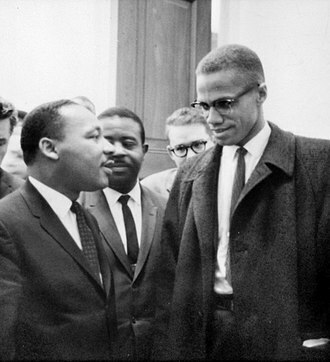 He graduated from Detroit Central High School in 1952, and worked as a taxi driver and he attended Swarthmore College, graduating with his Bachelor of Arts in political science in 1956. 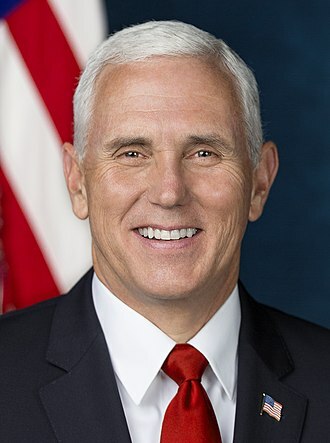 He attended Harvard Law School, where he earned his Juris Doctor in 1959 and he received honorary degrees from Michigan State University in 2004, Wayne State University in 2005, and Michigan Technological University in 2008. After earning his law degree, he was admitted to the State Bar of Michigan and he entered private practice as a lawyer for Grossman and Grossman and taught law at Wayne State University and the University of Detroit Mercy. He served as an assistant attorney general for the state of Michigan. Levin was elected to the Detroit City Council in 1969, serving two terms from 1970 to 1977. Levin served as president of the City Council throughout his second term. He was close to Detroit Mayor Coleman Young, the citys first African-American Mayor, during his time on the City Council, Levin practiced law part-time, working as a counsel for the Schlussel, Simon and Kaufman law firm from 1971 to 1973. 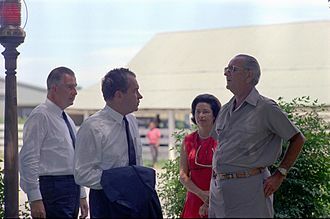 President Johnson and his wife Lady Bird greet Republicans Richard Nixon and Spiro Agnew, the 1968 presidential and vice-presidential nominees, at the LBJ Ranch in August 1968. President's House, Philadelphia, Pennsylvania. 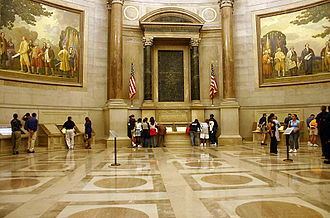 George Washington's Bow Window (not depicted) is echoed in the shape of the Oval Office. 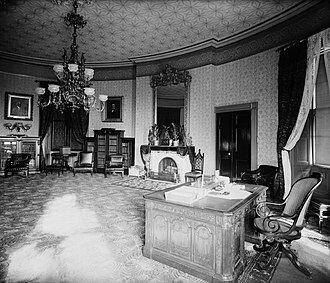 The Yellow Oval Room as President Grover Cleveland's library and study, 1886. Note his use of the Resolute desk. 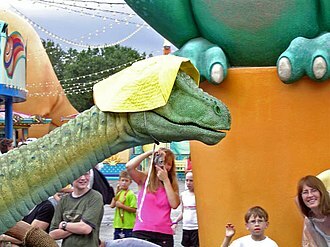 Lucky the Dinosaur, a free roaming audio-animatronic at Walt Disney World in 2005, was the first designed to walk on land. Senator Carl Levin announces at a press conference regarding his opposition to the War in Iraq and his willingness to vote "No" on the authorization for President George W. Bush to invade Iraq. At the time of its construction, the capitol building was billed as "The Seventh Largest Building in the World." Downtown Austin and the capitol as seen from Congress Avenue. Former U.S. Secretary of State Henry Kissinger and Mark Updegrove at The Vietnam War Summit at the LBJ Presidential Library in 2016. 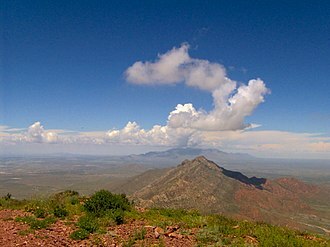 Photo by Jay Godwin.